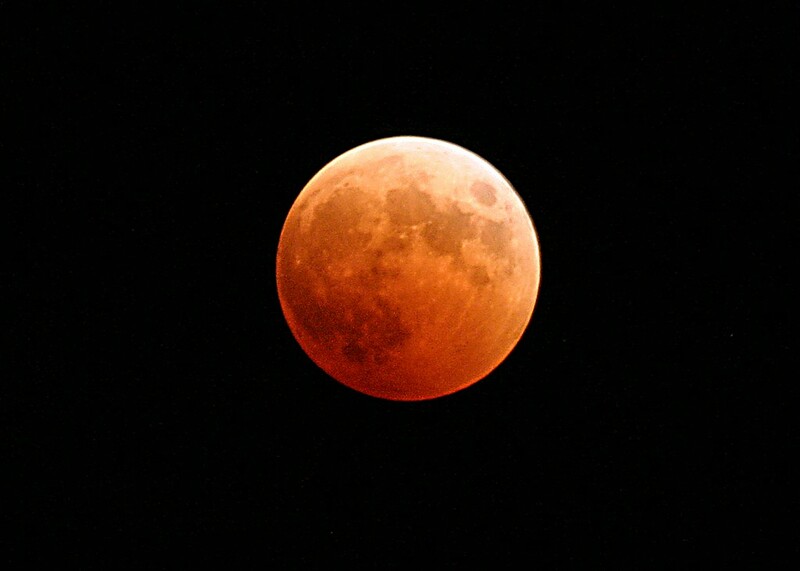 Bay Area residents will have an orchestra-seat view of a rare astronomical event this Saturday: a total lunar eclipse. A lunar eclipse happens when the Earth and sun align so that the Earth casts a shadow on the moon. This can occur up to three times a year. 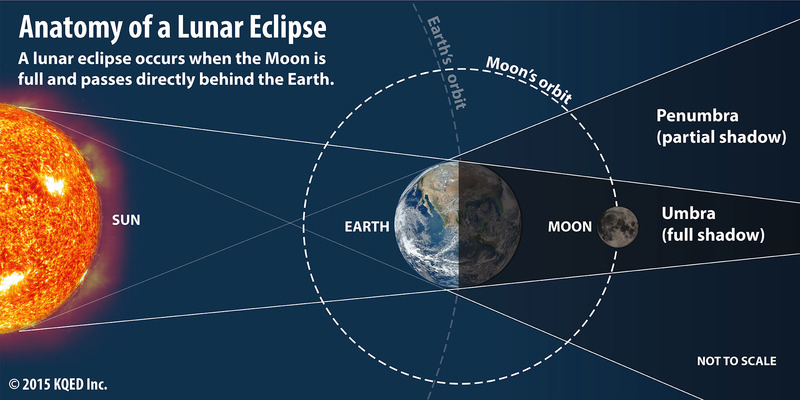 But Saturday morning's show will be a total eclipse, when the moon is full and the Earth's shadow completely covers it. This happens twice annually at most, and can only be seen from whichever hemisphere is shrouded in darkness at night. On Saturday, it will be visible from Western North America, though the total part of the eclipse--when the moon is in the sun's full shadow--will only be visible for a fleeting five minutes, between 4:58-5:03 a.m. This happens because the only sunlight hitting the moon has been bent toward the red end of the spectrum by passing through the sun's atmosphere. This will be the shortest lunar eclipse of the 21st century, but for these few minutes, the moon will bathed in a reddish glow, called a "blood moon." This is the same phenomenon, called Rayleigh scattering, that colors sunsets red and orange. This will be the third of four lunar eclipses taking place over four years. The first was in April 2014, and the last and final of the series will be on September 28, 2015.